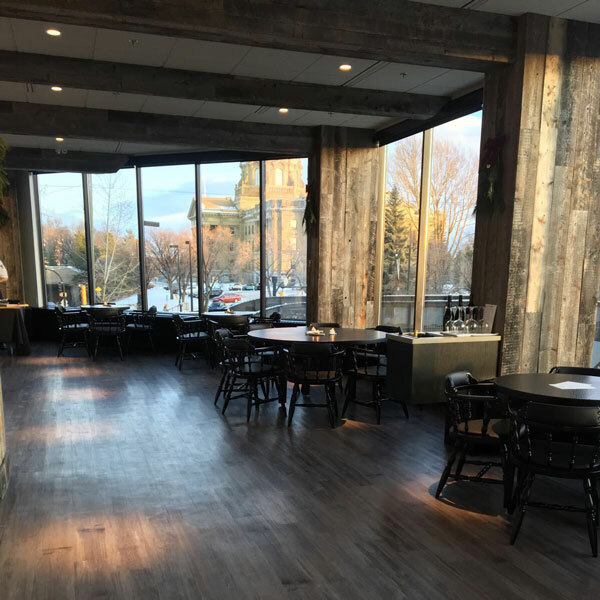 The Butternut Tree is just a stone’s throw from the beautiful Alberta Legislature grounds and just off Edmonton’s majestic river valley. A room with a panoramic view, our restaurant pays homage to the Canadian frontier, while showcasing seasonal ingredients from Canada’s distinctive terroir. Everything we do at The Butternut Tree is aimed at being welcoming and inclusive. Guests are encouraged to interact and explore throughout the restaurant including the thoughtfully designed open kitchen. We want guests to be a part of the action while discovering Canadian cooking styles and cuisine. 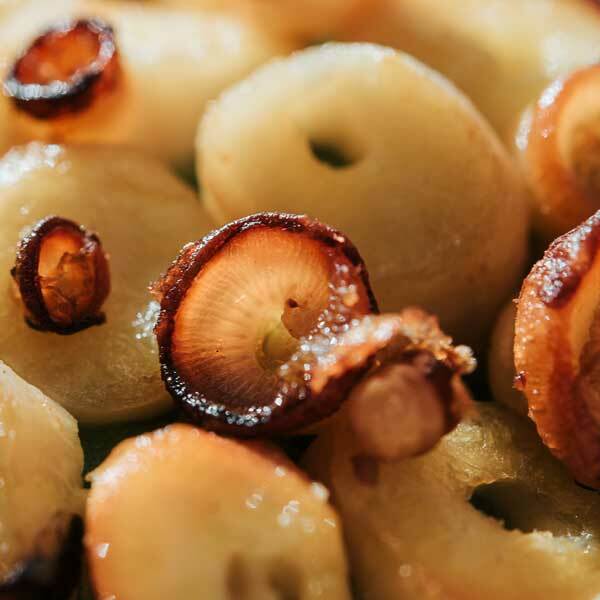 A focus on replacing global sources of sweet, sour, bitter and salty with unique ingredients from our home and native land is at the forefront of The Butternut Tree’s culinary offering. From budding foodies to seasoned supporters of local provisions and purveyors, this is the place where guests can experience the unexpected. 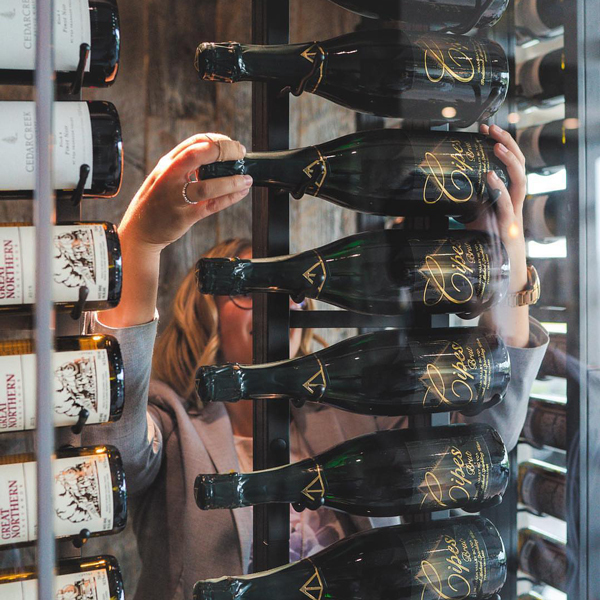 The Butternut Tree’s wine program highlights the diversity and quality of Canadian wines. Our seasonal cocktails feature ingredients such as sumac, sea buckthorn and gooseberries paired with Canadian-produced liqueurs and spirits. 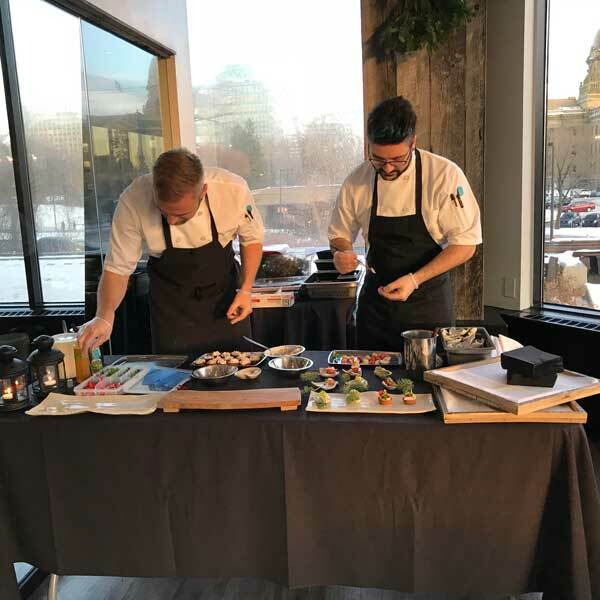 We’ve worked with our patrons to create two private dining options that will suit the needs of your private group or function perfectly. Of course, if you don’t see something that quite fits your requirements, we’re happy to accommodate your needs. 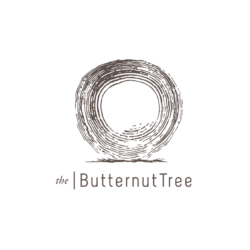 Visit www.thebutternuttree.ca/menu to view the current menu. The Butternut Tree staff will circulate the room with canapes & hors d’oeuvres throughout the night as you entertain your guests. For a set price, a personalized menu will be created for your group with a choice of three appetizers, three mains, and two desserts. For beverages, we can work with you to create signature cocktails and select appropriate wines to suit your guest preferences. Our personalized group tasting menu can include up to twelve courses at a set price per person. We will accommodate any dietary restrictions and allergies noted prior to the event. For beverages, we offer pairing options or we can work with you to create signature cocktails and select appropriate wines to suit your guest preferences. Group reservations may be made by phone or email. We will need to know the date, number of guests, the type of event and a general feel for the kind of night you are looking for. The restaurant is conveniently located on the first floor of the Ledgeview Business Centre. The Grandin LRT Station is also located just one block north of The Butternut Tree. In addition to a number of underground, heated stalls within the building, The Butternut Tree offers patrons free parking within the adjacent Impark lot. On-street parking is also free after 6:00 pm and all day Sundays. The Butternut Tree would be happy to assist you in acquiring audiovisual equipment from a third party. Just let us know if this will be a requirement for your event.